I’ve had an interesting summer, coming upon two steam locomotives while shooting other subjects, while many of my fellow photographers were actively chasing locomotives appearing in the area. This photo of “The 765” was captured while out with a photographer friend shooting old barns in and around Hale Farm and Village. 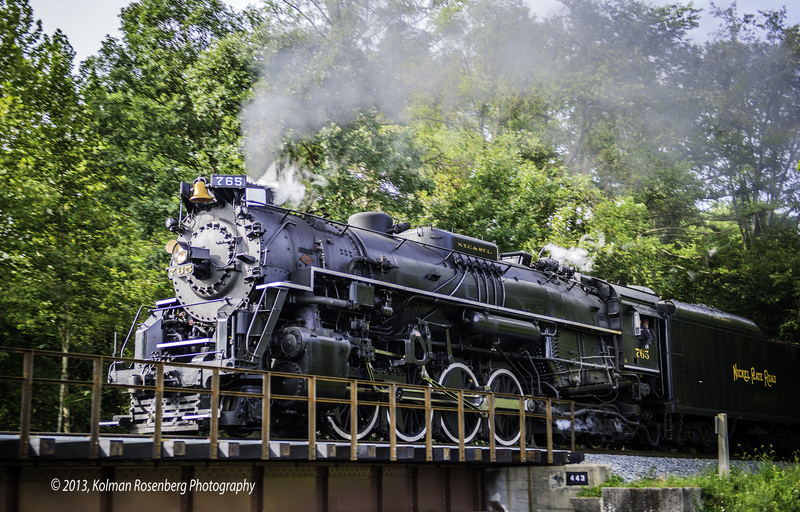 While shooting the barn at a local popular farm market, we heard the whistle blowing and within a minute’s time, “The 765” chugged on by directly across the street and we were able to get clear shots as it crossed a bridge. 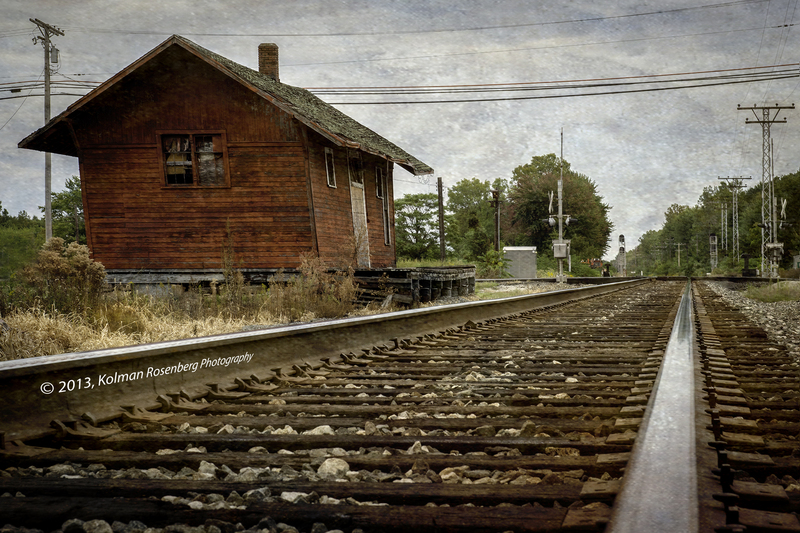 The following weekend, on another “barnstorming” session, my friend and I traveled to Madison, OH where there is an old abandoned railroad station. The station is close to collapse, leaning precariously to one side, and hopefully will be restored by a local society before it crumbles under it’s own weight. It made for some interesting photos however and the warehouse behind it, also in disrepair, was a fascinating site as we wondered what treasures, real or imagined, were locked inside. 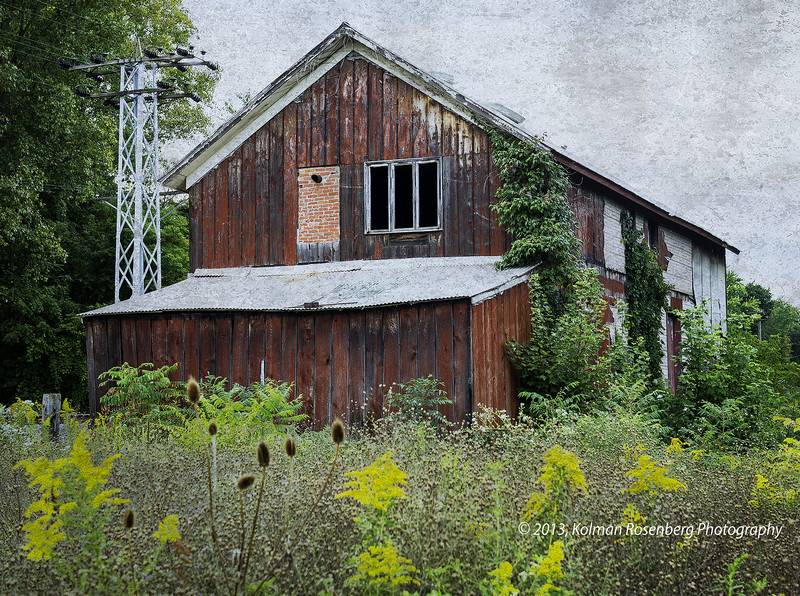 This entry was posted in Uncategorized and tagged 765, abandoned, Bath, hale farm, haunted, locomotive, Madison, OH, ohio, railroad, RR, station, Steam, track, warehouse. Bookmark the permalink. If you enjoy an up-close experience with an old steam locomotive, I hope you’re familiar with the Conneaut Historical Railroad Museum. My first husband (the railroad buff) and I used to be members and contributed several artifacts to their displays, and we always enjoyed their model railroad display. It’s nice to see that they get good reviews on TripAdvisor (http://www.tripadvisor.com/Attraction_Review-g50231-d4067317-Reviews-Conneaut_Historical_Railroad_Museum-Conneaut_Ohio.html). Thanks Lenore! I was not aware or the Conneaut Historical Railroad Museum but will definitely have to check it out! If you are ever near Hartville Ohio,check out the train station that is owned and turned into a gallery.The owner also bought an old passenger car and is having it restored by the Maps Museum. Hartville is a nice little town! I was not aware of the gallery, but I have a feeling it might now be in the building that the caboose was next to! Is that correct?